Symmorium reniforme? 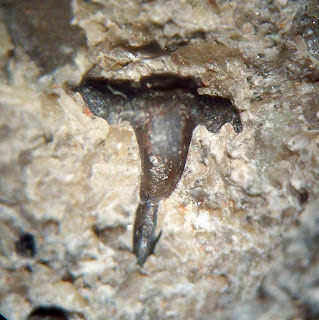 shark tooth fossil found in the Indian Springs Formation of Crawford County, Indiana. 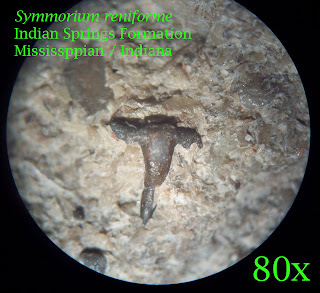 The shark swam around in Mississippian Period seas. 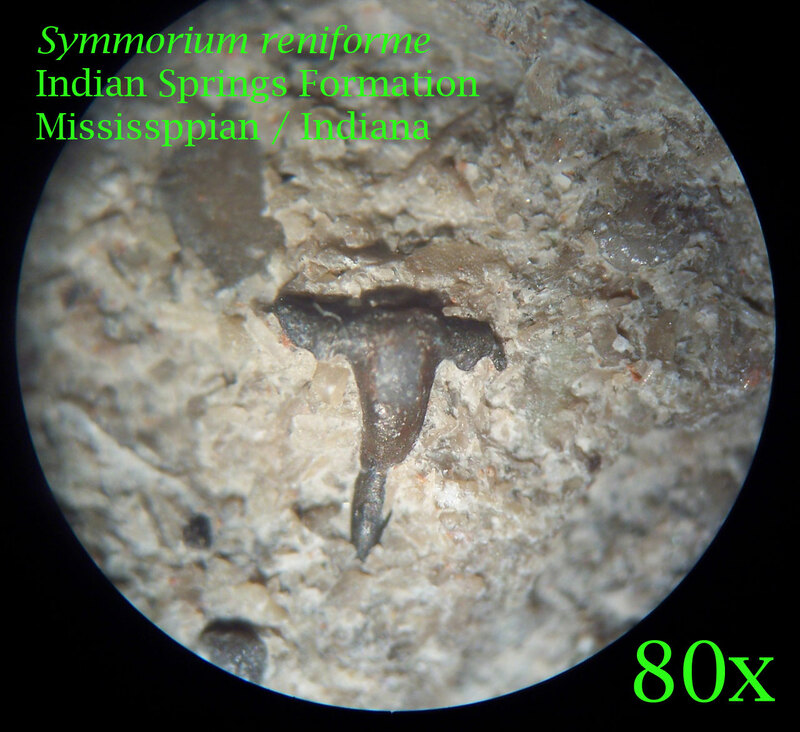 Fossil is quite small thus magnified 80x with a 4 mm field of view. This is my second tooth find with the first being a Deltodus sp. that can be seen in this posting: CLICK HERE.